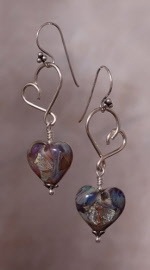 Hand formed heart in 18 gauge argentium wire pairs perfectly with these handmade lampworked boro (borosilicate) glass heart beads, by Unicorne Beads. Shades of baby blue and amber with dichroic accents. 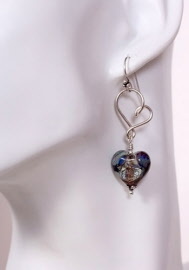 Sterling silver earwire. 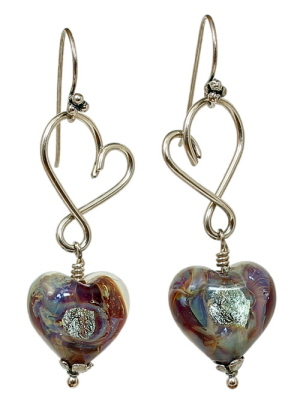 Earrings measure 2¼ inches from top of earwire to bottom of dangle, ⅝ inch wide.